This tent provides a great covered space to store items, take a break from the sun or for dining underneath. This tent provides 100 square feet of protection agains the sun and the rain. 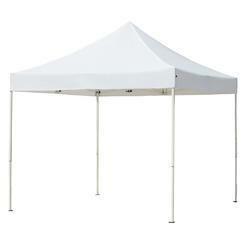 Our friendly staff will set this tent up and safely anchor it at no additional cost to you.